The recent Liberty Mutual Invitational Golf Classic, an event which brings Golfers and Supporters on the course to benefit Boys Hope Girls Hope of Detroit, which is a youth academic scholarship program for the underprivileged residing in Metro Detroit, was held at the prestigious Franklin Hills Country Club. 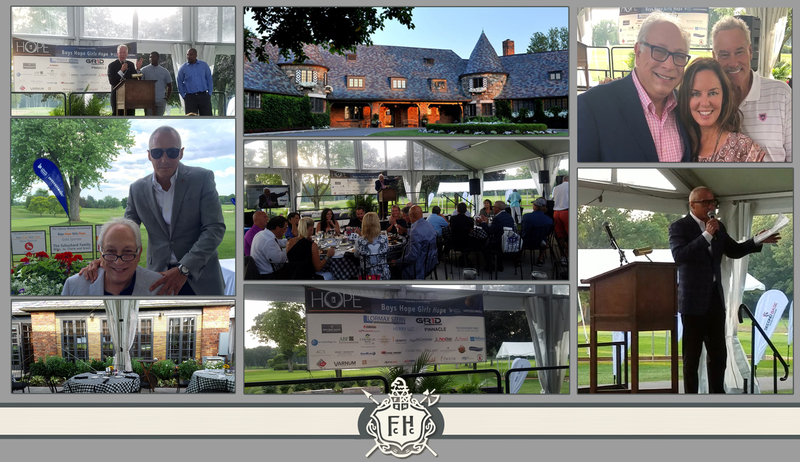 The August 27 Golf Outing and Auction which raised nearly a half a million dollars to directly benefit the charity in their efforts to cultivate “youth empowerment through the foundation of education and holistic support”, was as previously, personally managed by Frank Torre, the event chair. The Annual Golf Outing and the ensuing awards dinner, included some of Detroit’s most iconic names, including Oakland Country Executive L. Brooks Patterson, former Mayor of Detroit Dennis Archer, TV Personality and Channel 4 Anchor Rhonda Walker, Mickey Redmond, a former professional hockey player, and analyst for Detroit Red Wings games on Fox Sports Detroit, Edward Dario Mio, a former professional goal tender who played for the Detroit Red Wings, Edward Miles, Jr, is a retired professional basketball player who played for the Detroit Pistons, and many other notable business and philanthropic leaders, including Ryan LaFontaine, CEO of the LaFontaine Automotive Group, and Tom Celani, proprietor of the Celani Family Vineyards . The awards dinner was emceed by Paul W. Smith, the legendary Detroit radio icon, notable columnist, and host of the “Paul W. Smith Show” on WJR radio. Such initiatives are made possible in part thanks to the generous contributions from local businesses and organizations, among them Signal Restoration Services and PuroClean, who are proud to support the non-profit’s mission of graduating “young people who are physically, emotionally and academically prepared for post-secondary education and a productive life…”. As the Chairman of Boys Hope and Girls Hope of Detroit, Frank Torre has been involved with the non-profit organization for over 14 years. He has personally organized and hosted the most recent 26th Annual Golf tournament, which raised over $350,000 as part of the annual campaign to promote and support the organization. Through his dedication and commitment to the foundations’ success, Frank Torre’s fundraising initiatives over the past 14 years have contributed over 4.5 Million dollars to directly support the foundation’s initiatives of scholarship and educational programs. During the closing Scholarship Awards Ceremony, the Boys Hope Girls Hope of Detroit Foundation recognized its 2018 scholarship recipients with a new scholarship, named in honor of Frank Torre, aptly named the “Frank Torre Scholarship”, which recognizes and rewards selected individuals, who embody the foundation’s mission of empowerment though scholarship. Outside of his active involvement in the philanthropic community, Frank Torre serves as the Co-CEO of Signal Restoration Services, a large-scale national disaster restoration services company, as well as the Vice Chairman of PuroClean, a national disaster restoration services company with locations across the United States and Canada. Copyright © 2018. Torre Enterprises Designed by MageeWP Themes.